Cycle lanes / Cycle tracks / Bike lanes. Mobility Systems ensure safety in cities. Innovation in the management of urban space, especially in streets, sidewalks and causeways, as well as in transit and public transport, has become a priority theme in the political agendas of municipal governments in cities around the world. This innovation poses a technical and technological challenge, but also a cultural one. At Zicla we work to design and develop innovative, circular, and intelligent solutions to improve the urban space and also to achieve more human, sustainable, and liveable cities. Our purpose is to turn city streets into accessible, healthy, safe, and welcoming places for people. The separators are traffic elements that are used to construct protected bike lanes on the road and can be installed continuously or discontinuously. They are anchored to the pavement at different points and their most important function is to protect cyclists and discourage other vehicles that circulate along the road from invading the bike lane. 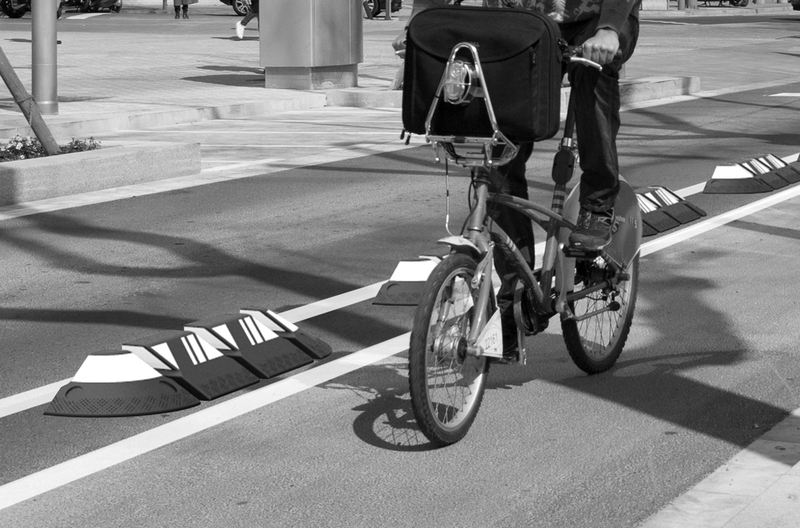 The Zebra bike lane separator ensures safe driving for cyclists and other road users. Urban equipment that improves the safety of cyclists and pedestrians when the bicycle path is on the sidewalk. The Zipper system allows safely segregation of traffic flows thanks to the high visibility of its retro-reflective strips. 430 km of cycle lanes protected by using Zicla separators. Between 2009 and 2018, Zicla put into the market more than 170.000 bike lane separators, which could be found in cities like London, Houston, Santiago de Chile, Istanbul, Madrid and Barcelona. Separators for cycle lanes on streets and sidewalks. 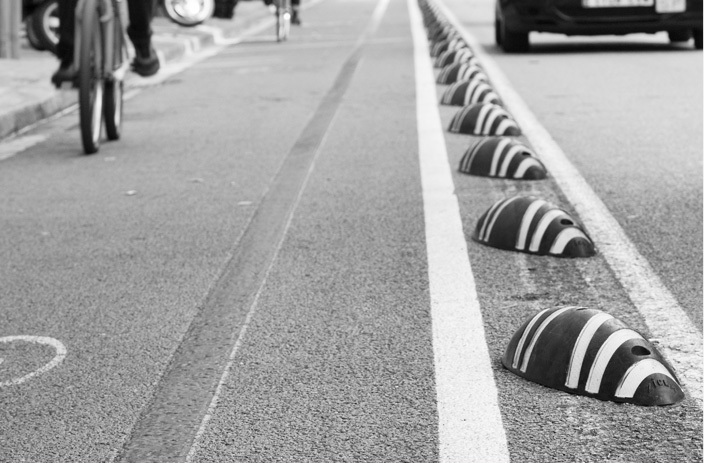 Our cycle lane separators Zebra and Zipper produced in the EU using recycled and recyclable plastic, are highly resistant to weathering with high impact absorption, allowing the rapidly construction of protected bike lanes easily and economically. The flexible layout on the roadway maximizes the safety distance between the rider and the other vehicles that circulate through it. They have reflective painted strips that guarantee their visibility both day and night. Our Zebra Planter also manufactured in the EU with recycled and recyclable plastic, is highly resistant to weathering, with high impact absorption, it allows constructing protected bike lanes on the sidewalk segregating cyclists from pedestrians.